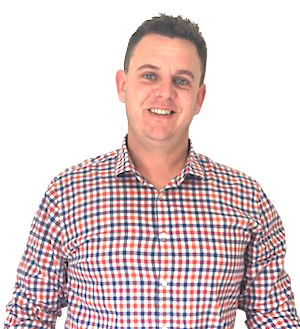 After starting his career at GE, Chris moved through various Sales and Management roles within the Silver Chef group before finally joining QPF in 2018, this move has allowed him to become closer and more connected to his clients, which is what he enjoys most. With a background in Plant Sales and Finance, Chris is able to manage all moving aspects of each transaction to ultimately get the best results for his clients and to maximise the value of their experience. When it comes to funding transport and construction equipment, Chris has you covered! Sport and family are two of Chris’ greatest loves. He grew up playing AFL in his spare time but traded it all for his 4 fantastic kids, though still enjoys getting out to the field for some Golf every once in a while. What has Chris recently financed? Who doesn't want to save thousands of dollars?! QPF Broker Chris Garner assisted Keith Mitcherson from Bundarra Freight in refinancing this awesome 2003 Kenworth T904 Prime Mover and a 1997 Southern Cross A-Trailer! Thanks to Chris' expert work, Keith is now saving $3450 per month on his payments!